Radhika Sarathkumar was last seen in the serial Vani Rani, that ended a few days back. The actress announced that she is taking a break from acting and will return back after this summer. The Naanum Rowdy Dhaan actress is currently acting in a serial called Chandrakumari, that started airing on December 10, 2018. 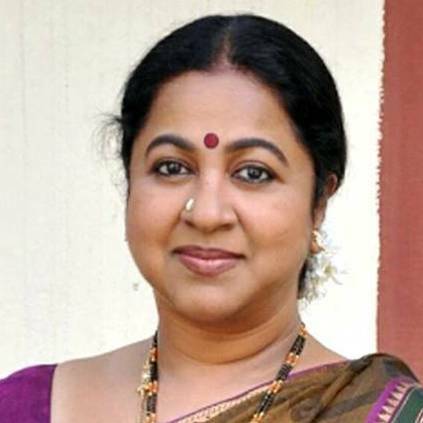 The latest update about this serial is that Viji Chandrasekhar will be replacing Radhika. This was revealed by Radhika on her Twitter handle. She said: "Welcome to the talented @ActorViji with a warm hug and loads of love to #chandrakumari who will bring a fabulous twist to the story. Give her the love you have showed me and welcome her❤️❤️keep watching 👍🏻at 6.30pm🙏🏻🙏🏻"
Responding to this heartfelt message, Viji replied saying: "TQ so much ka. im so touched to see yr fans msgs.They love you somuch.Every one is missing you including myself.i will try my best to make your lovable fans hapy.with your humble words Im sure they will support me.huge responsibility on me now." The serial is approaching it's 100th episode, that will be aired on April 10. It is directed by O.N. Rathnam, while Suresh Krisshna helmed the historical portions alone. Stay tuned for more updates. People looking for online information on Chandrakumari, Radhika Sarathkumar, Viji Chandrasekhar will find this news story useful.